Labourers from KSRTC’s northwestern and northeastern wings will also take part in the protest, said Chandregowda S, a treasurer with the KSRTC Staff and Workers’ Federation. Bengaluru: A two-day nationwide protest has been called for by trade unions on January 8 and 9, stated a report. This is likely to affect the commuters in Bengaluru on Tuesday and Wednesday. The protest is against the Centre’s anti-labour policies. Vehicles that will not run on these two days are KSRTC and BMTC buses and autorickshaws. App-based cabs, airport taxis and Metro trains, on the other hand, will function. 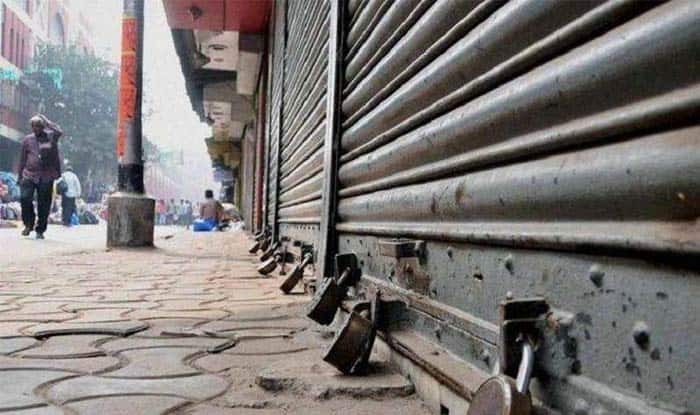 While the strike is likely to affect the banking services in the city, the status of educational institutions and cinema theatres on the day of protest is unclear. Banking services are likely to be affected on January 8-9 as a section of PSU bank employees would go on a two-day strike in support of the nation-wide strike call given by 10 central trade unions against the government’s alleged anti-worker policy. The All India Bank Employees Association (AIBEA) and Bank Employees Federation of India has informed the Indian Banks’ Association (IBA) of the two-day nationwide strike on January 8-9, 2019, IDBI Bank said in a filing to the BSE. According to a report by a leading daily, members of the All-India Trade Union Congress stated that protests will be held at Jigani, Bommasandra, Whitefield, Peenya and Doddaballapura, in addition to a march from Town Hall to Freedom Park beginning from Tuesday noon. Labourers from KSRTC’s northwestern and northeastern wings will also take part in the protest, said Chandregowda S, a treasurer with the KSRTC Staff and Workers’ Federation. Ten central trade unions — INTUC, AITUC, HMS, CITU, AIUTUC, AICCTU, UTUC, TUCC, LPF and SEWA — have called for a nationwide general strike against what they call “anti-people” policies of the Centre and have placed a charter of 12 demands before the central government. During March 2018, a similar nationwide strike was called for by Maharashtra Navnirman Vahtuk Sena, the transport wing of Raj Thackeray led-MNS.